There are some topics in life which are more divisive than pineapple on pizzas. Star Wars versus Star Trek, Holden versus Ford, Connery versus Moore. Best car films in any discussion fall into the divisive category. What makes for a good car film, though? Is it the car or cars? The story line? The set pieces? Trying to pin down a definitive list is impossible, so we thought we’d shop around and get an idea of what people thought. One film that was a clear favourite is a homegrown production. Starring a young up and coming actor named Mel Gibson, it’s a movie that brings in just about everything a good car film needs. Action, pathos, a chase scene or three, “The Goose”, and of course that incredible XB Falcon. “Mad Max” is a film that simply can’t be overlooked. Steven Spielberg is best known for a few films starring Harrison Ford and a mind-blowing sci-fi film or two. However, an early part of his career involved a story that is about as simple as it comes. With minimal dialogue it relied on Spielberg’s ability to heighten tension with a simple camera move. Starring Dennis Weaver and based upon a book written by a car driver that had a similar experience with a mad truck driver, “Duel” remains one of the most gripping films of its kind nearly fifty years on. It’s almost impossible to write a list of car films without including this entry. The stars of the film were three little machines designed by Alec Issigonis. The story line, again, was simple. Money, in the form of gold bullion, a few gags, some brilliant scenery and an amazing chase sequence, toss in the broad Cockney accent of Michael Caine, and you have “The Italian Job”. This one celebrates fifty years of delighting audiences. It was agonizing to toss out some of the films that could have made the cut. There is the original “The Fast and The Furious” from 1955, and the remake & subsequent series of films. There was Jason Statham’s “The Transporter”, and the sublime recreation of the relationship between James Hunt and Niki Lauda in “Rush”. 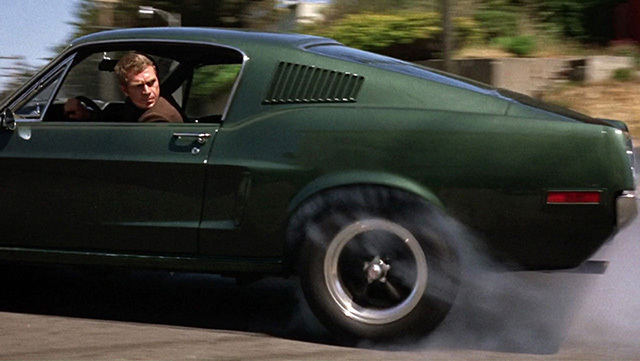 But number 4 goes to a Steve McQueen favourite. Based on real life events, and featuring film from one of the races itself, “Le Mans”. Takes our fourth grid spot. Packed with macho appeal, and the sense of unburnt “gasoline” hovering around the screen, Le Mans was notable for the bravery of the cameramen hanging on to the cars and heavy cameras of the time. Tell us via our social media links what your top five films are? Is there a “Fast and Furious” in there, perhaps a different Mad Max film? We’d love to know your thoughts and feedback here at Rare Spares.